4/9/13 JERUSALEM — Natan Sharansky, the chairman of the Jewish Agency, outlined new ideas on Tuesday for making the Western Wall a place where all Jews could pray comfortably, after tensions over rituals there peaked in recent months and caused discord between the Israeli authorities and Jewish leaders abroad. Mr. Sharansky’s proposal involves expanding and improving the areas accessible for prayer at the wall to include the southern section known as Robinson’s Arch which, under his plan, would be open for Jews wishing to pray in a less Orthodox, more egalitarian style 24 hours a day, seven days a week. The main prayer section, which is now divided into men’s and women’s sections, would remain the domain of more traditional worshippers. His proposals, which are subject to approval by the Israeli government, met with enthusiasm from the chairwoman of Women of the Wall, a feminist and pluralistic religious group that has championed the current struggle over the site. The group has been meeting for prayers at the Western Wall, or Kotel, at the start of every Hebrew month since the late 1980s. Rabbi Steven Wernick, chief executive of the United Synagogue of Conservative Judaism, an advocate for more religious pluralism in Israel, said that the proposed concept was “significant” but needed refining. Mr. Sharansky said he was also expecting the Orthodox-dominated authority that currently administers the Western Wall plaza to have reservations. Three months ago Prime Minister Benjamin Netanyahu assigned Mr. Sharansky, leader of the quasi-governmental Jewish Agency, which handles immigration and works with the diaspora, to find ways of making the Western Wall more accommodating to different branches of Judaism. That request was prompted by a spate of arrests of women, including members of Women of the Wall, who had sought to pray wearing shawls customarily limited to men, or who had chanted aloud, challenging constraints imposed by traditional Jewish Orthodoxy and by an Israeli Supreme Court ruling. 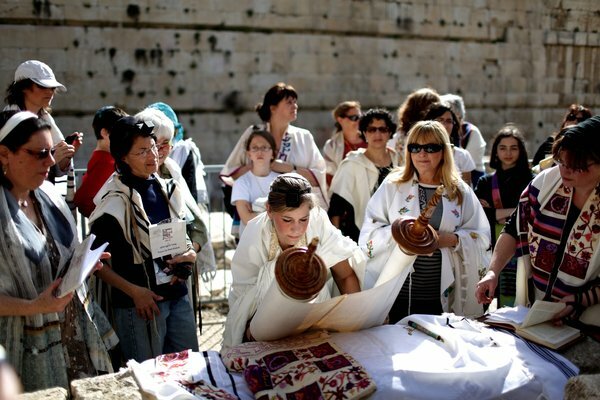 Many Jews here do not identify with the goals of Women of the Wall, which has remained something of a fringe effort, with more of a following abroad than in Israel. But some issues it has raised seemed to strike a broader chord. The recent detentions of women caused outrage among many Jews abroad, who generally subscribe to more progressive religious practices. More than 2,500 people signed up last year for a Facebook-organized global flash mob of people chanting the oft-recited Shema prayer. Mr. Sharansky said he had discussed the issues with relevant parties in Israel and with members of the Israeli Parliament. In the United States for a tour of college campuses, he also held meetings with leaders from different branches of Judaism. The first details of his recommendations were published on Tuesday in The Jewish Daily Forward, an American publication. The Forward’s Web site also said that the chairwoman of Women of the Wall, Anat Hoffman, had expressed approval for the plan. Women of the Wall had rejected a solution the state had already offered of holding egalitarian services at Robinson’s Arch, saying that was not an equal option. Currently part of an archeological garden, the area is tucked around a corner, out of sight, and access is limited to certain times. Mr. Sharansky’s vision calls for unfettered access to the area and for platforms to be used to bring it to the same level as the rest of the Western Wall, a remnant of the retaining wall of the mount revered by Jews as the site where their ancient temples once stood in the Old City of Jerusalem. The renovated area must be connected to the wall itself, Mr. Sharansky added, and there must be one entrance for all worshipers, regardless of the section in which they choose to pray. The construction could take up to two years, he said, and questions remain about what would happen between now and then.